I have seen a few posts on Reddit and Teamliquid asking who are the best players in the world. So I thought I would give my views on the top players in Korea. I will also be going into detail on Pro League teams in the next few days, so keep an eye out for that. 1.Maru: The best Terran in the world at the moment, and I think there is a case that he is the #1 player in the world. Incredibly dominant performance in Pro League going 12-0 until he lost to Super in the first week of round 3. In his loss to Super his build was strange and despite being executed perfectly it simply was not good, and lead to super beating Maru in one big push. His GSL season 1 was cut short by Zest, who went on to win the GSL. Who knows where Maru would of placed had the draw been kinder to him. 2.TY: The GSL Finalist and Runner Up is at his career peak, having played since he was very young in Brood War, formerly known as Baby this Terran has impressive multi-tasking and late game play, he has yet to win his first tournament. Right now is his best shot at doing so. A conservative player who knows when to take his lead and sit back to win later. This is his main difference with his Terran rival Maru, once there is blood in the water for Maru, he will finish the job. With TY favouring the safer approach of knowing he can secure the victory later. TY and Maru are the quite obvious top 2 Terrans in my opinion, after these two it gets a little more difficult. 3.Byun: This player is the “Onliner” of SC2, he is the King of Douyu Cup, winning the Daily competions countless times and the monthly cup #3. An incredibly strong TvT player, beating Polt 4-0 in Gauntlet despite playing from Korea to NA. As well as beating Ryung, Gumiho and aLive in various online cups. I was really hoping to see Byun join a Pro league team for round 3, sadly he did not. But he is in both Star Leagues and should make it through Code A easily over Forte. Also his group in Star League is one he should be able to navigate with relative ease. The question is whether he can transfer his skills into the booth, if so I would watch out for Byun. 4.Cure: Cure comes in as #4 on the list, the strong Terran player made top 4 of GSL before losing to TY 0-4. A Crushing defeat, but still a strong performance from Cure to make it that far. He has already qualified for SSL and GSL after making it through the SSL challenge groups. Defeating soO and Bomber 2-0 in the process. This Jin Air Terran also has Maru to play with and learn more from, a valuable asset for sure. His playstyle is between TY and Maru he is an incredibly standard Terran player. While I doubt he will be able to make it as far in GSL as he did last season, it will still be interesting to see how he performs. 5.Ryung: For me Ryung is the 5th best Terran, just edging out teammate GuMiho. Ryung recently crushed Soulkey 3-0 in GSL Code A, as well as showing improvement in Pro League beating SoO, CJ herO and Bravo. I think Ryung will prove himself to be the MVP Ace player this round of Pro League and should be able to put a strong performance in GSL round of 16, provided he does not get to many Protoss’ in his ro16 group. He was thanked by TY for his help in practicing for his 4-0 victory over Cure. He is one of the best TvT players in the world. Also showing a strong TvZ. His play is incredibly drop heavy and leads to fairly short games as he cripples his opponent with drops before pushing in to finish the job. This is probably the most controversial player on the list. Honourable Mentions: Dream and iNnoVation from SKT are both very strong players, however they have not shown enough to quiet make it into the top 5. Also players like Bravo and Reality deserve a mention. 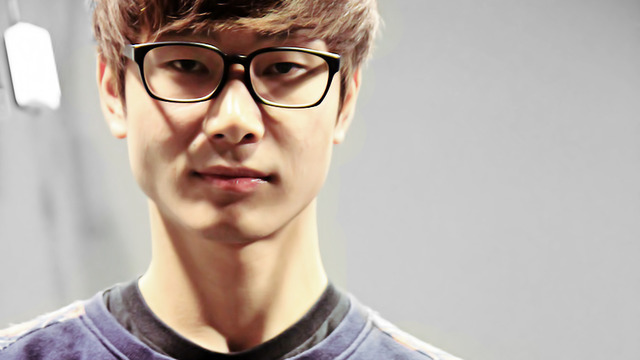 1.Zest: Zest is best, the GSL Champion is the best Protoss in the world. With that he is also the best player in the world. His play is almost flawless, crushing Dear 4-0 in GSL ro4 proves his skill in PvP, as well as defeating TY 4-2 in GSL finals. Recently he has been on a bit of a down swing, losing to Maru in SPL Finals as well as losing to MC in SPL this week. However these are two BO1s and come series play Zest will show why he is the best player in world. He went 5-2 in Pro League round 2, defeating Ryung in brutal fashion on Dusk Towers, involving dancing stalkers. 2.Stats: He is the #2 Protoss in the world and on KT. SSL finalist and Cross Finals winner recently defeated CJ herO in Pro League round 3 to give his team the win. He is in incredible form, with an All Kill over SKT coming in the semifinals of SPL round 2 and winning the Cross Finals recently. He also defeated his teammate Leenock in Code A to secure his place in GSL. Stats will play a big part for KT this round of proleague, it will be interesting to see who will be the ACE player for KT should they go to ACE matches. With Zest, Stats and TY all on one team the coach really is spoilt for Choice. 3.herO: The star player of CJ Entus has dragged his underperforming CJ team to round 2 playoffs, going 3-1 in SPL ACE matches in round 2. He was really on his own for most of that round, with Byul struggling and the rest of the team not good enough to get regular wins. Coming into round 3 he has more help with CJ signing the Starcraft Legend MC. herO has already secured his place in GSL season 2 following a RO8 los to Cure 3-1. With help from MC, how far can herO carry CJ in the last round of SPL 2016. 4.Classic: The Chintoss is the #4 Protoss, with an All kill over CJ in Pro League round 2, as well as a 2-1 win rate in the regular season. He has shown some brilliant play. In his SSL challenge group he 2-0d both GuMiho and SoS. Two incredibly strong players, securing his place in SSL for the last season of 2016. Classic faces Samsung Terran player BrAvO tomorrow for a place in GSL code S. He should take this victory and therefor be competing in both Starleagues and Pro League. On his team he is the second best player after Dark, and should perform well in the 3rd round of SPL. 5.SoS: This two time Starcraft Global champion comes in as #5 on the Protoss List. Recently beating Trap 3-0 in GSL code A to qualify for Code S. He also got 3 Kills in the Pro League finals. Beating Stats, Losira and TY, before falling to Zest. Allowing Maru to finish the Job. SoS is the hardest player to read in Starcraft, its impossible to know what he is going to do or how he is going to play. SoS just beats Dear to the #5 spot. Honourable Mentions: Protoss has so many strong players at the moment, the last 3 and Dear can be shuffled around based on your personal opinion. They are so close in skill and have great results in different tournaments. Also Patience has shown an impresive level of play recently. 1.Dark: He is clearly the best Zerg in the world, Dark won SSL against Stats and made the finals of the Cross Finals. However he has been a bit of a downswing losing to Stats again in Pro League semi finals round 2 and losing to aLive in SPL round 3. He qualified for GSL Code S after team killing iNnoVation 3-2 in code A recently. He is the star player of SKT with INnoVation not adapting to Lotv just yet and SoO also not quite at his best. There is a large gap between Dark and any other Zerg at the moment. 2.SoO: Dark’s teammate SoO is closest zerg to his level, but lets make it clear that the #2 Zerg is nowhere the level of TY and Stats, the other #2 on this list. Zerg is struggling in Korea and if it wasn’t for Dark would be absent at the very top of Korean Starcraft. With Life’s ban the Zerg pool got even smaller. SKT have the best Zerg roster in Korea with Impact beginning to show his quality. 3.Rogue: The Jin Air Zerg is the 3rd best Zerg in Korea, and the last top player on this list. After Rogue the rest of the Zerg players struggle and will not be up to the standard of their Protoss and Terran counterparts. Rogue went 3-2 in Pro League season 2 and was sent out in the Finals, but was unable to take down Stats. He has qualified for Code S after beating Hurricane 3-1, with relative ease. After Rogue there are so many Zergs on similar level, none of which really stand out. A few examples would be KT Zergs Leenock and Losira, also Solar and TRUE. Maybe Impact from SKT as well, but I think we need to see more from him to really tell. But one thing is clear. Zerg is hurting in Korea. So now to rank all these players Overall. These are the players on this list only, not the overall Top 13. Good write up. I favor GuMiho/Dream over Ryung but Ryung is in great form. Also I think Dear has been better than Classic/sOs in LotV, but as you mention it's pretty interchangeable. Korean Zerg is pretty depressing. Badly missing Life and outside of Dark no Zerg has a good ZvT. Good write up, agree with most of the rankings. @above : I would also put Dear higher and the lack of good Korean Zergs is indeed sad. I think Rogue might be better than soO currently. soO's last SSL was devastating. Solar deserves a mention imo. edit: nvm he got mentioned. rip zergs lifu would be up there but waifu is not here anymore. I dont know about Zest man. His form seems a bit shaky recently. Kinda reminded me of his period of dominance in 2014 and after he won his GSL. You know what they say about things going up. I wanted to knock soO in 2nd (lel) but honestly...can't think of too many other Zergs worth a damn right now. Dark is reigning over a Zerg kingdom of ash.. I think solar deserves a regular 4th place (mb even 3rd?) because since his defeats in both individual leagues (against very strong players btw: Dark, Stats, Zest, Cure) he has looked solid in proleague (beating Zest and dark if I recall correctly). gj this list is very accurate. Personally I haven't been very impressed with Classic, so would probably rank Patience over him. Good write up, I fully agree with all the rankings. I find this list surprisingly agreeable. I love your post and gotta agree with your analysis. I love this as well but, I think aLive deserves #5 over Ryung for the best Terran if were being honest. But I definitely agree with the rest of this list! Funny how Innovation these days isn't even Top 5 anymore. Glad Flash quit before the game grew over his head.